with $100,000 worth of instruments! The Manilow Music Project is celebrating the extension of MANILOW: Las Vegas - The Hits Come Home! at the Westgate Las Vegas Resort and Casino by choosing one lucky high school band to win $100,000 worth of instruments and uniforms! Submit an application now! Applying is easy & done in 3 steps. Applications are being accepted immediately at www.manilowmusicproject.org and will close May 2nd. 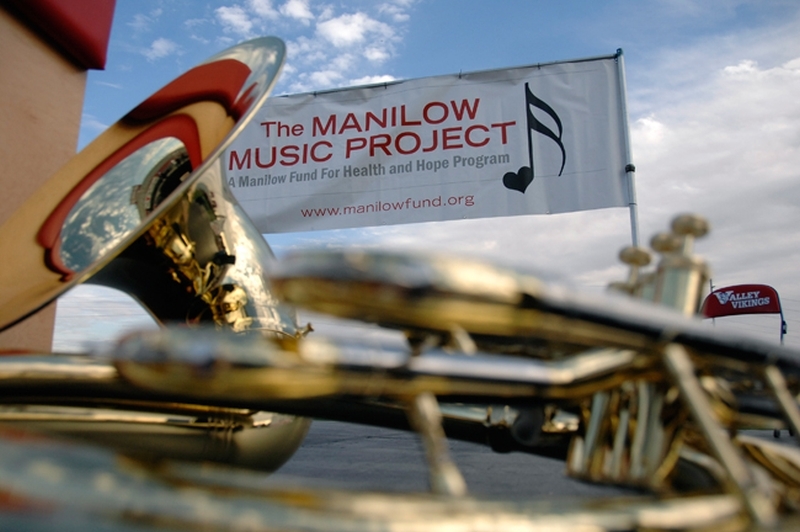 Upload your video to YouTube: High school bands across the country will submit videos telling us why our famous Manilow Music Project trucks should be coming to their town! Visit our website! Visit manilowmusicproject.org and follow the prompts to submit the link to your video and provide a few details about your school. The famous Manilow Music Project trucks could be heading to your town next. Help us help others by sharing this with everyone you know. For more information and to apply now visit www.manilowmusicproject.org.